Acuvue Oasys 1 day lenses for astigmatism, and 1 Ciba Dailies Total One Multifocal and Aqua Comfort Plus contacts are now in at Midtown Optometry in Santa Cruz and in stock in the office. With bifocal contacts and contacts for astigmatism, you may be a candidate for contact lenses even if you have had trouble in the past. DAILIES TOTAL1® contact lenses create a cushion of moisture on your eye making them so comfortable, you’ll forget you’re wearing them. Available for nearsightedness, farsightedness, and multifocal prescriptions that can significantly reducing the need for reading glasses. DAILIES® AquaComfort Plus® contact lenses are perfect for new wearers or during activities that glasses just won’t work. These single-use lenses can be discard after some fun in the sun eliminating the risk of re-introducing bacteria and drastically decreasing the risk of corneal infection. Ask your eye care professional for wear, care and safety information. Rx Only. Midtown Optometry understands that living in Santa Cruz we spend a lot of time near the water, and sunglasses aren’t always an option. 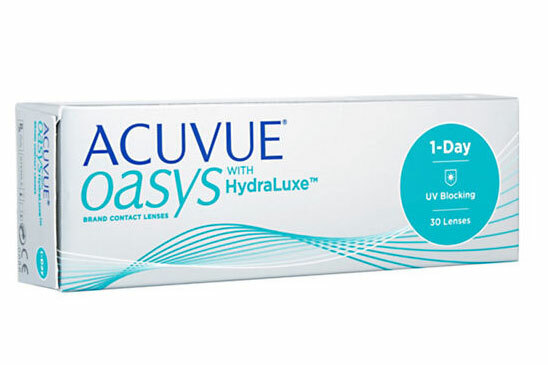 ACUVUE OASYS® Brand 1-Day Contact Lenses have the highest level of UV protection‡ available in a contact lens to protect you from a variety of eye diseases. Ask us today for more details on the effects of UV and eye health, or discuss contact lens options with our opticians. Here's our favorite video tutorial that shows you how to put your contacts in safely. We stock a wide range contact lenses in office including daily disposable lenses from Alcon and Acuvue.